The findings suggest that it may be possible to develop drugs to delete memories that trigger anxiety and post-traumatic stress disorder (PTSD) without affecting other important memories of past events. During emotional or traumatic events, multiple memories can become encoded, including memories of any incidental information that is present when the event occurs. In the case of a traumatic experience, the incidental, or neutral, information can trigger anxiety attacks long after the event has occurred, say the researchers. "The example I like to give is, if you are walking in a high-crime area and you take a shortcut through a dark alley and get mugged, and then you happen to see a mailbox nearby, you might get really nervous when you want to mail something later on," says Samuel Schacher, PhD, a professor of neuroscience in the Department of Psychiatry at CUMC and co-author of the paper. In the example, fear of dark alleys is an associative memory that provides important information—e.g., fear of dark alleys—based on a previous experience. Fear of mailboxes, however, is an incidental, non-associative memory that is not directly related to the traumatic event. "One focus of our current research is to develop strategies to eliminate problematic non-associative memories that may become stamped on the brain during a traumatic experience without harming associative memories, which can help people make informed decisions in the future—like not taking shortcuts through dark alleys in high-crime areas," Dr. Schacher adds. 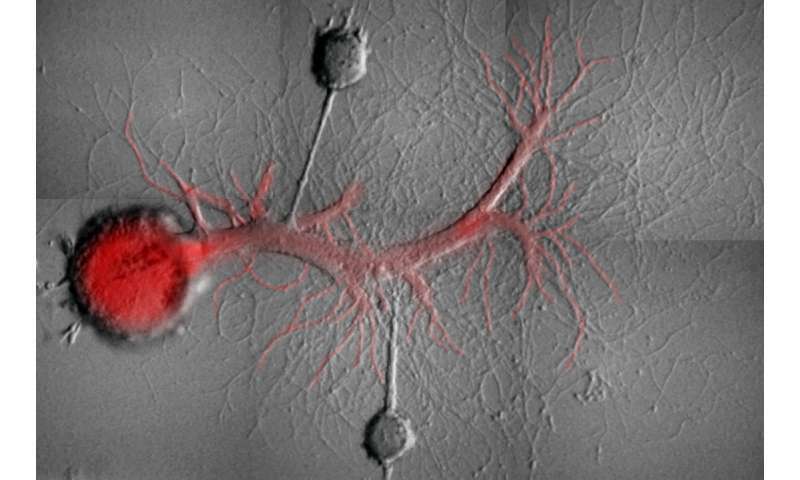 Brains create long-term memories, in part, by increasing the strength of connections between neurons and maintaining those connections over time. Previous research suggested that increases in synaptic strength in creating associative and non-associative memories share common properties. This suggests that selectively eliminating non-associative synaptic memories would be impossible, because for any one neuron, a single mechanism would be responsible for maintaining all forms of synaptic memories. By measuring the strength of each connection, the researchers found that the increase in the strength of each connection produced by the different stimuli was maintained by a different form of a Protein Kinase M (PKM) molecule (PKM Apl III for associative synaptic memory and PKM Apl I for non-associative). They found that each memory could be erased - without affecting the other—by blocking one of the PKM molecules. "Memory erasure has the potential to alleviate PTSD and anxiety disorders by removing the non-associative memory that causes the maladaptive physiological response," says Jiangyuan Hu, PhD, an associate research scientist in the Department of Psychiatry at CUMC and co-author of the paper. "By isolating the exact molecules that maintain non-associative memory, we may be able to develop drugs that can treat anxiety without affecting the patient's normal memory of past events." "Our study is a 'proof of principle' that presents an opportunity for developing strategies and perhaps therapies to address anxiety," said Dr. Schacher. "For example, because memories are still likely to change immediately after recollection, a therapist may help to 'rewrite' a non-associative memory by administering a drug that inhibits the maintenance of non-associative memory." The study is titled, "Selective erasure of distinct forms of long-term synaptic plasticity underlying different forms of memory in the same postsynaptic neuron."